Facebook.com/EminemEminem has accomplished a lot professionally and conquered his personal demons. 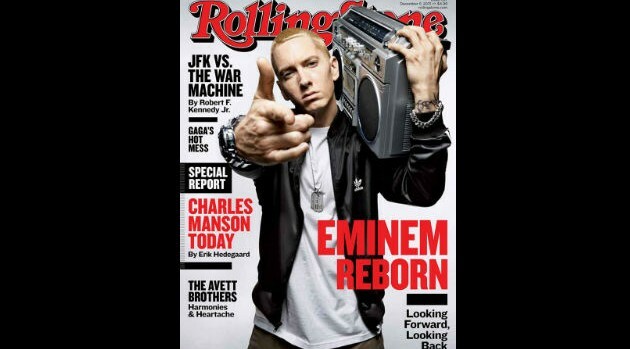 In the new issue of Rolling Stone, the rapper candidly reflects on his sobriety and achievements in hip-hop. Slim Shady, whose latest album, The Marshall Mathers LP 2, has gone platinum after two weeks, also spoke about drawing inspiration from the Beastie Boys as well as other rap pioneers. The issue will be available on newsstands this Friday, November 22.